Perhaps, it's just time to reflect on all these and do a little bit of tidy up job. It's time for a new year, and better look from where we are now. Correct! it's exactly refer to our current state of life. 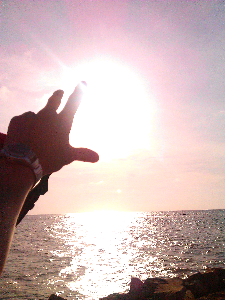 Catch the light! That's what we should be doing. Embrace the hopes and aim for a bright future.